Professional photo retouching is one of the most sought after skills by the marketing elite. This isn't simply removing scratches or refining image inconsistencies. 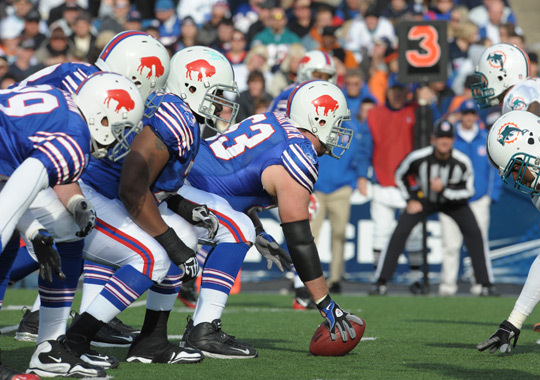 This is fundamentally altering the nature of a photo by adjusting colors, hues, patterns, compositions, and shadows. Quality image enlargement must also be carefully performed in order to retain or enhance image quality - known as image interpolation. As our name implies, Image Management offers exceptional photo retouching services—a fact we're proud of. 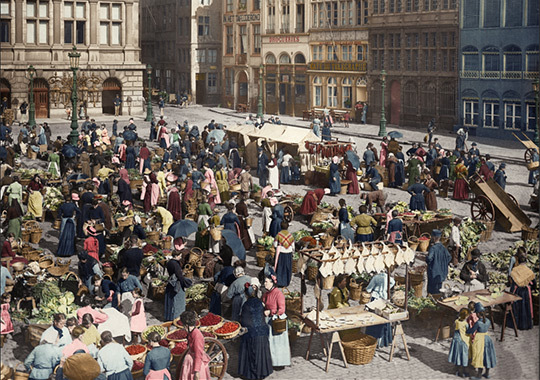 A selection from Bunge Limited's 200th anniversary archives, Image Management was asked to restore and colorize this massive town square photograph. The final piece shows what this bustling scene in Antwerp, Belgium looked like in 1878. 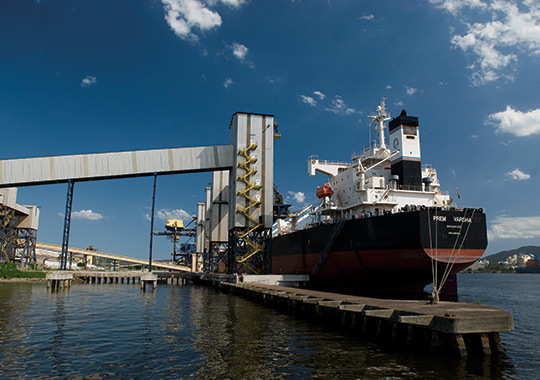 Bunge Limited asked Image Management to retouch a port facility photo for use in an annual report. 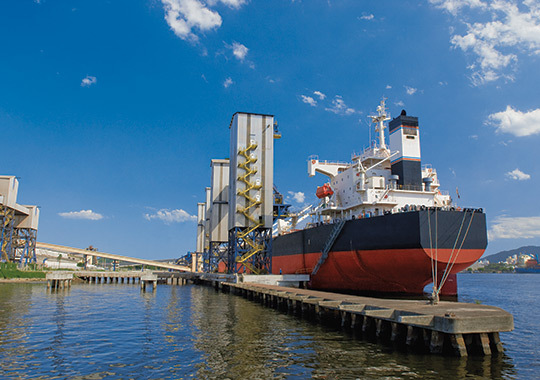 In addition to enhancing the vibrancy of colors overall, decals on the ship were removed along with an unneeded grain elevator. 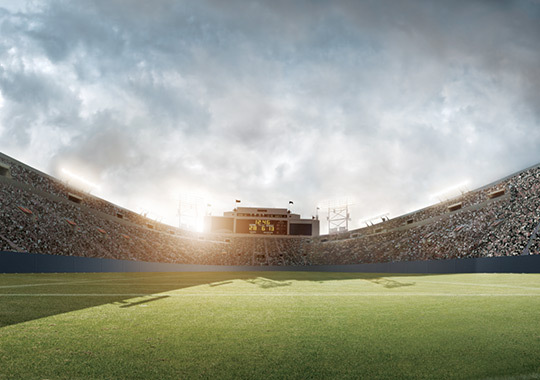 As part of the Play 60 program for the NFL, Image Management retouched an empty stadium photo and digitally added football players and sponsorship logos around the field. 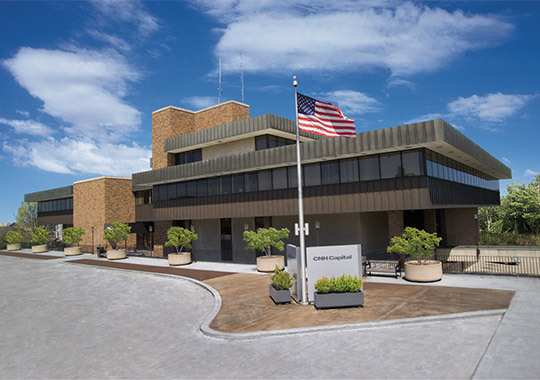 Advanced retouching and lighting techniques were added to the sky and image overall to provide a bold atmosphere. For a trade show, Starbucks needed a kitchen environment for a backdrop. 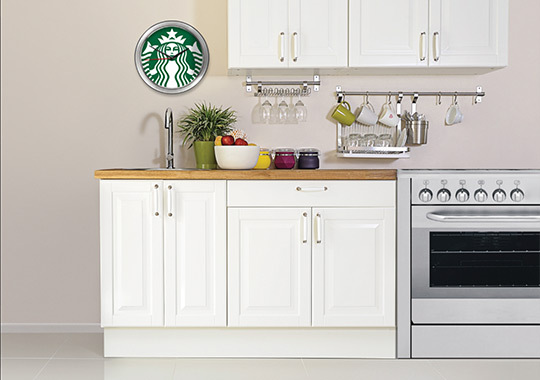 Unneeded elements were removed to make room for a Starbucks branded clock and an oven. 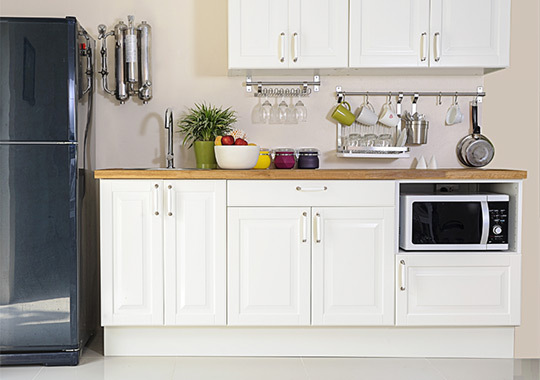 Stringent measurements and specifications were adhered to when retouching this photo to meet the client's needs. 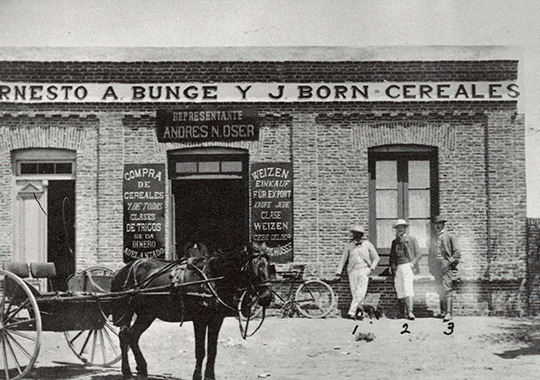 Bunge Limited had only a photograph of founder Johann Bunge's portrait – the original was destroyed in a bombing raid during WW2. 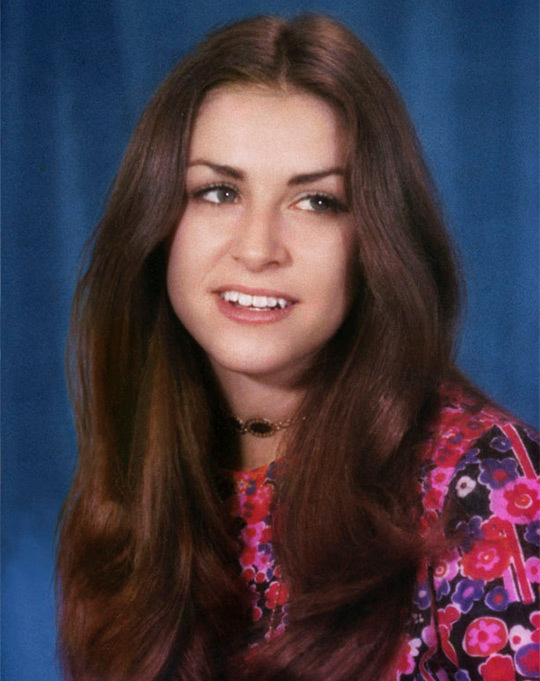 For their 200th celebration, Image Management not only retouched the photo removing all dust and scratches, but also colorized the image much to the delight of our client. 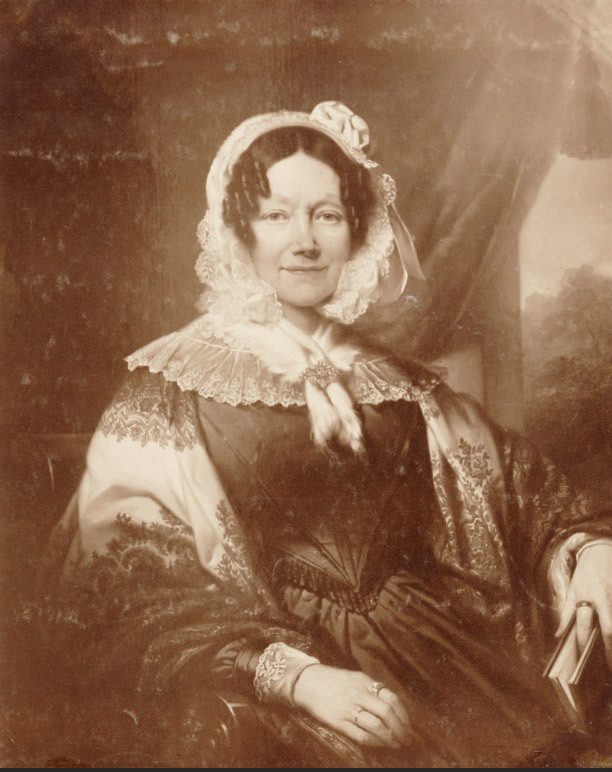 Following the restoration and colorization of Johann Bunge's portrait, Bunge Limited asked Image Management to do the same for his wife, Juliana Louise Boelling. 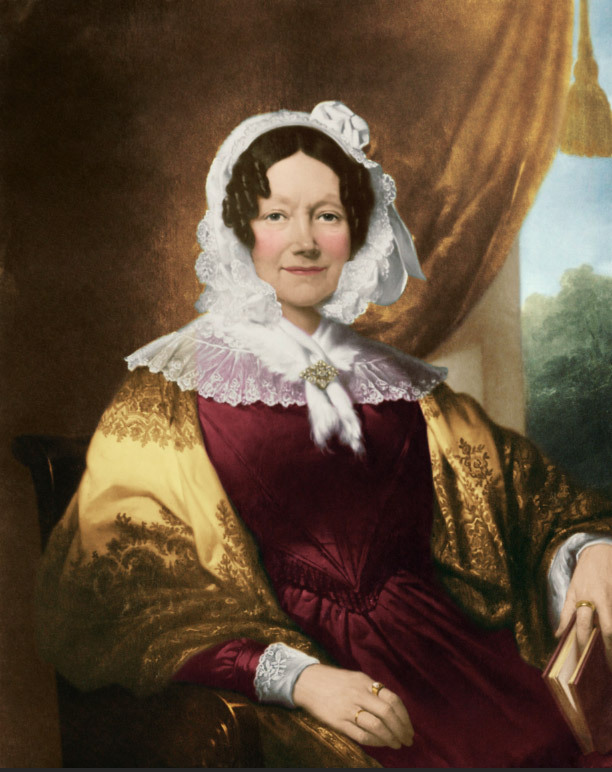 The damage and sepia tone of the original photo were removed followed by the addition of rich colors bringing the portrait back to its former glory. 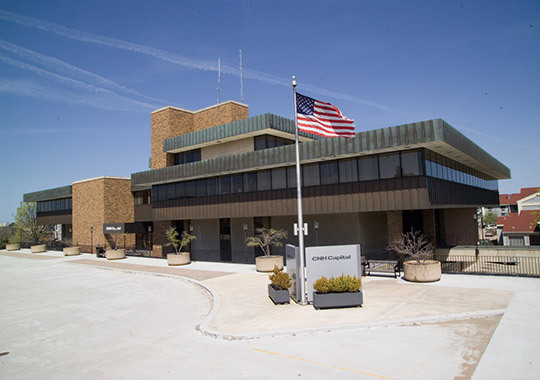 CNH Capital was in need of a photo of their headquarters. Unfortunately, the early spring season made for a rather drab image. Image Management digitally altered the season by adding a blue sky, green plants, and enhancing the vibrancy of colors overall. 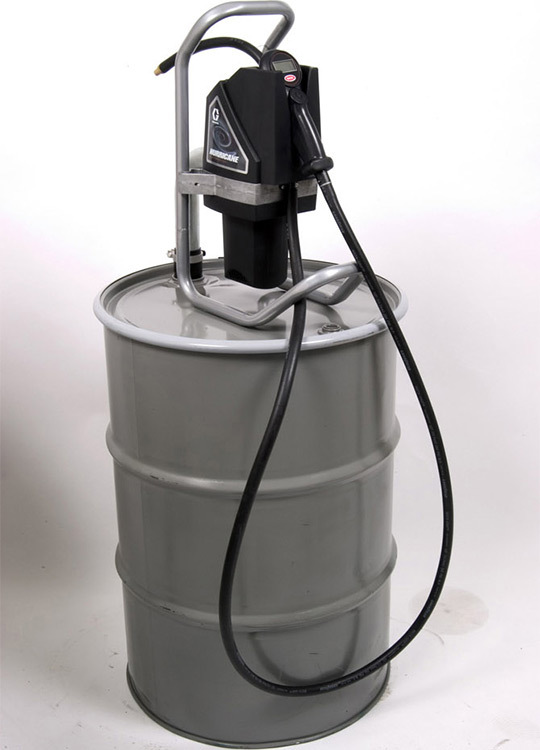 Often times, photographers supply equipment and product photos in studio environments with plain, barren backgrounds. 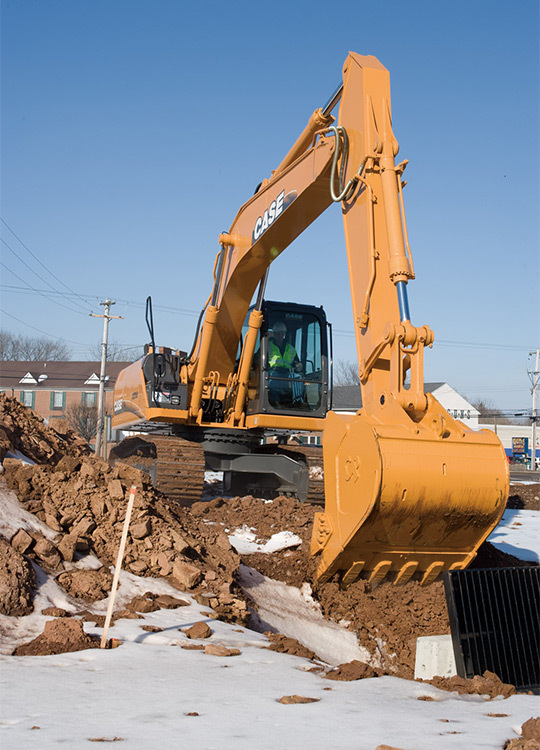 For use in a brochure, Image Management clipped this Case Construction Excavator from its original background and placed it in a more dynamic, outdoor scene. 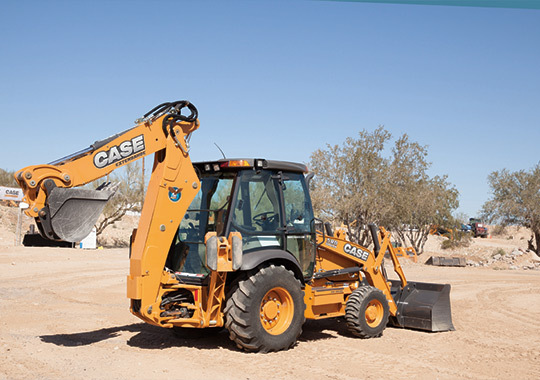 Case Construction offers many attachments for their equipment. 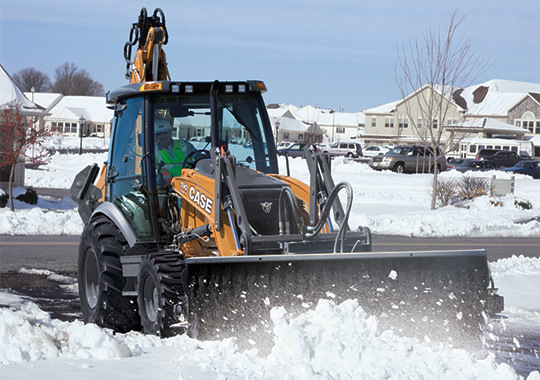 To showcase the sweeper attachment's versatility, Image Management retouched the original photo moving it from a summer environment to a winter, snow removal environment. 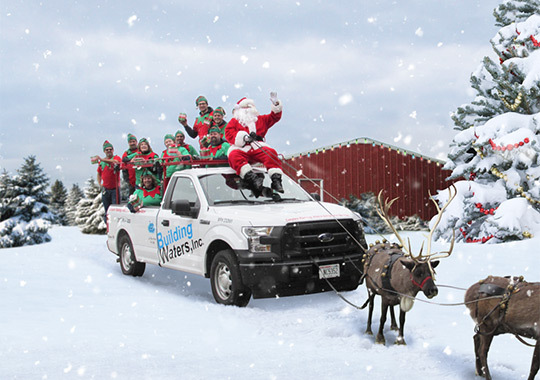 Building Waters was interested in creating a Christmas card with a bit of whimsy. A staged photograph was supplied to us. 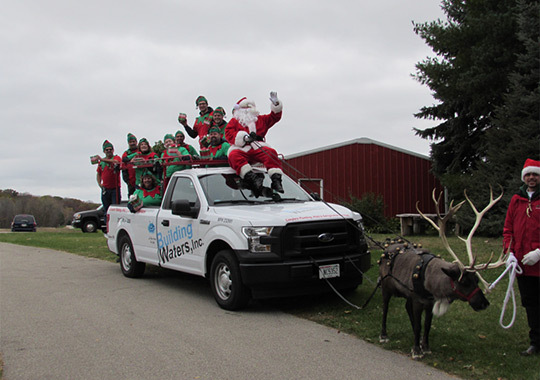 Our retouchers helped bring the image to life by adding snow, Christmas trees and lights, and an additional reindeer. 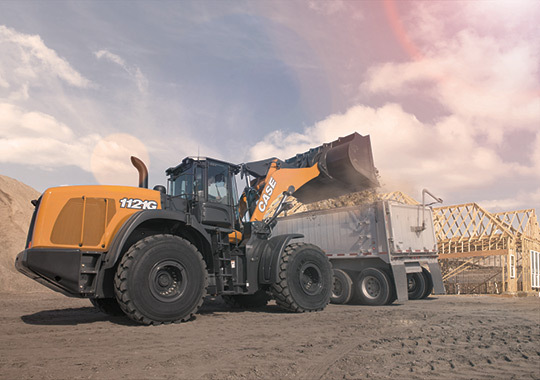 This Case Construction Wheel Loader was photographed in a staged work environment. 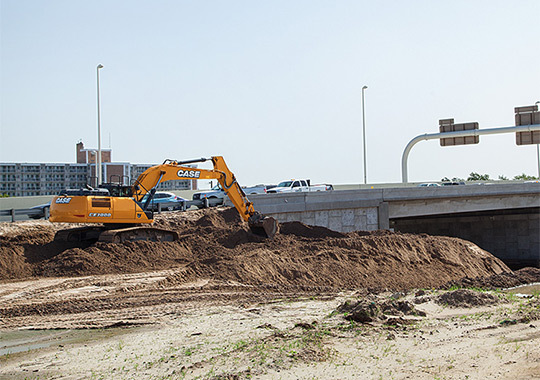 To create a more exciting image for marketing purposes, the photo was retouched into a construction site featuring a dynamic, rose colored sky. 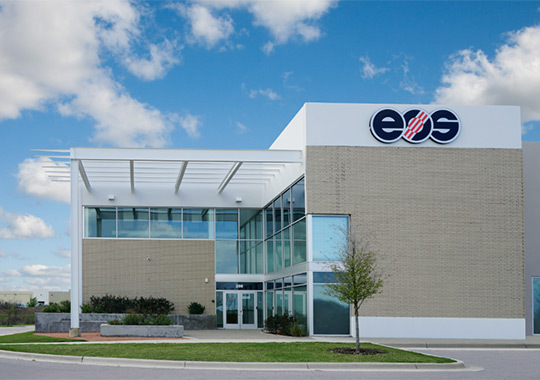 EOS Manufacturing needed a more dynamic shot of their headquarters. Image Management digitally added a blue sky, removed the parked truck, and cleaned up their photo overall. We even converted the photo's angular aspect to a more straight forward view. Image Management can help create dynamic product shots following a photo shoot. 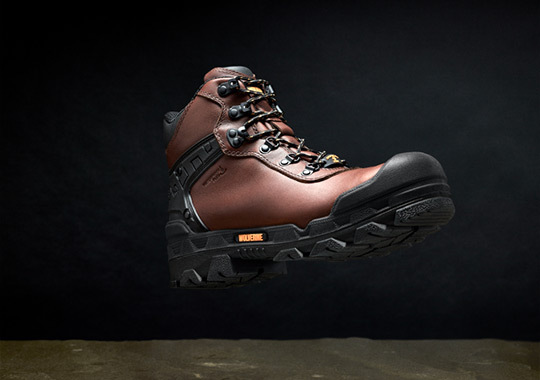 This worker boot for Wolverine was retouched by enhancing color, lighting, and shadows. 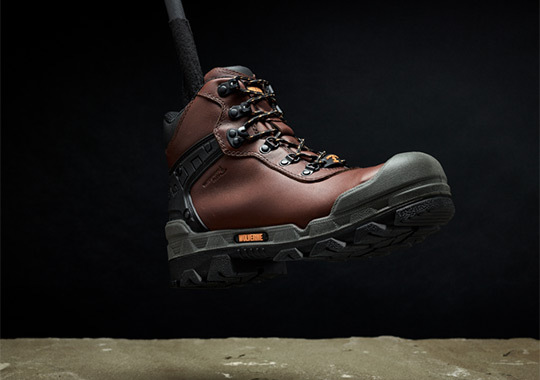 The photographer's pole was also removed giving the boot a floating appearance for use in the client's campaign. 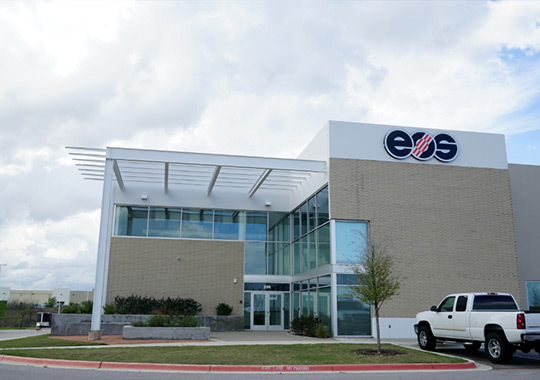 IM is often asked to create prototypes and mock-ups of products or equipment for businesses during their production process. Alternate colors and decals were added to this Case Construction Compactor Roller prototype through digital retouching. 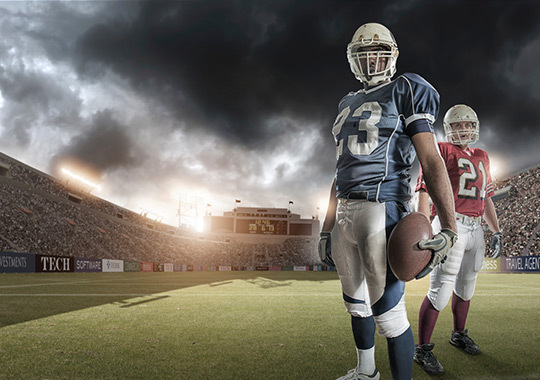 As part of an NFL Play 60 Cookbook, Image Management was asked to clip players from backgrounds for use within the book. 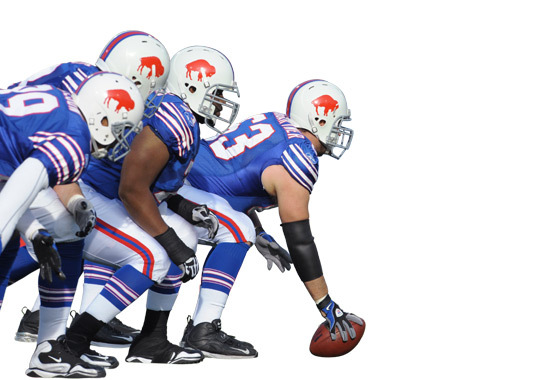 Where needed, elements such as footballs and shoes were digitally recreated. 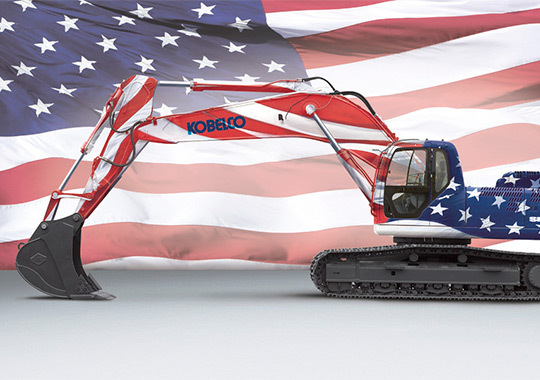 Kobelco USA was in need of an Excavator image with a patriotic twist. 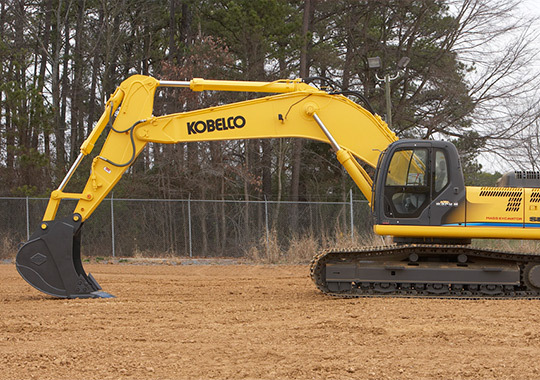 Image Management transformed this piece of equipment taking it from its original back-lot environment placing it against a backdrop featuring a flowing American flag. 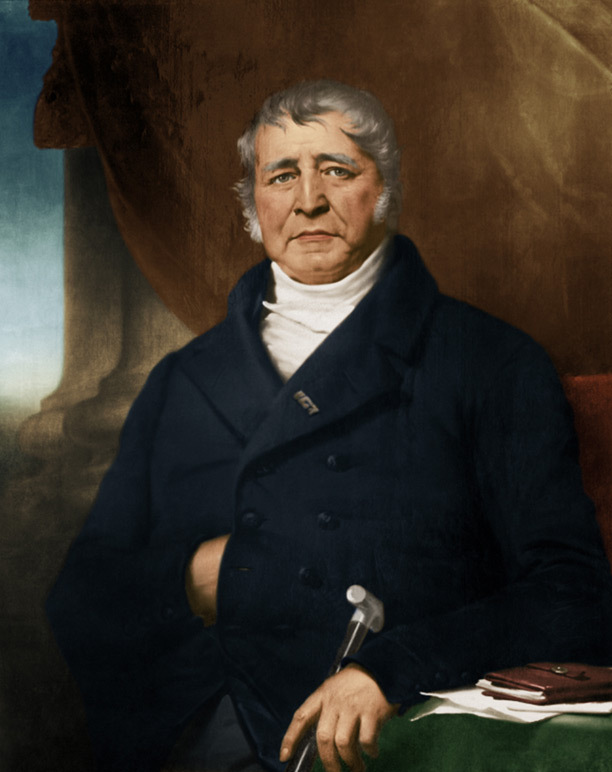 A red, white, and blue paint job was also applied through retouching. 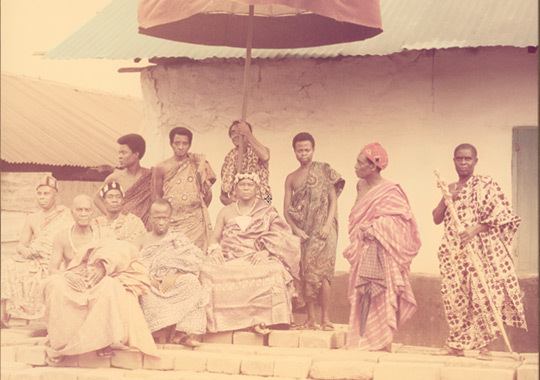 As part of their 200th anniversary celebration, Bunge Limited looked to Image Management to help restore archival photos. 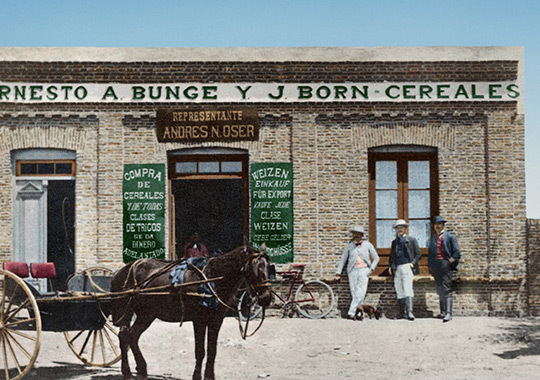 This Bunge photo was digitally cleaned, elements of the photo were rebuilt (cart and building), and colorization was added to showcase how this facility looked back in 1897. 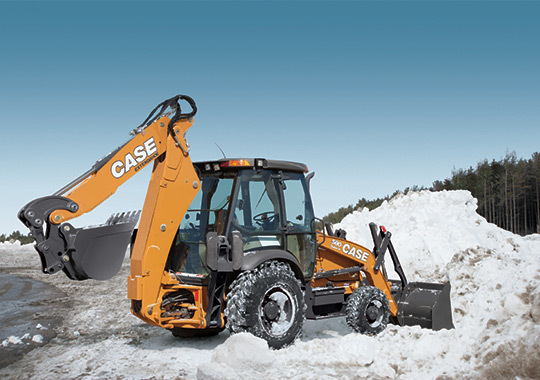 As another example of equipment versatility, Case requested that Image Management retouch this Loader Backhoe taking it from the original desert environment and placing it in a cold, snowy environment. 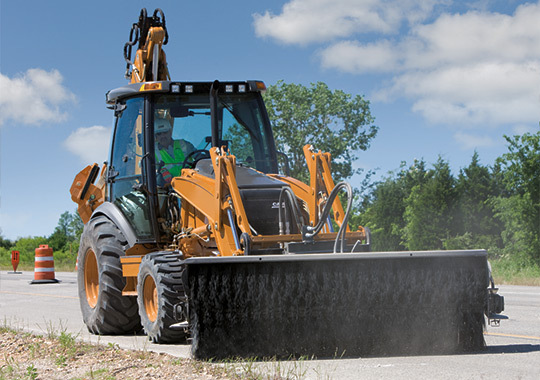 Note that the backhoe attachment and tires have also been retouched for compliance with its work environment. Precious memories can succumb to the ravages of time. 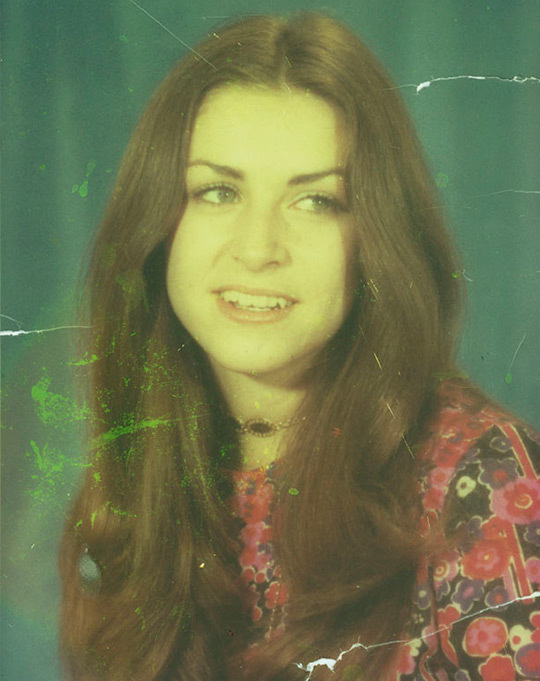 Image Management digitally restored this photograph by scanning the original print, eliminating the tear and weathering, and enhancing the quality overall by deepening tones and applying sharpening. 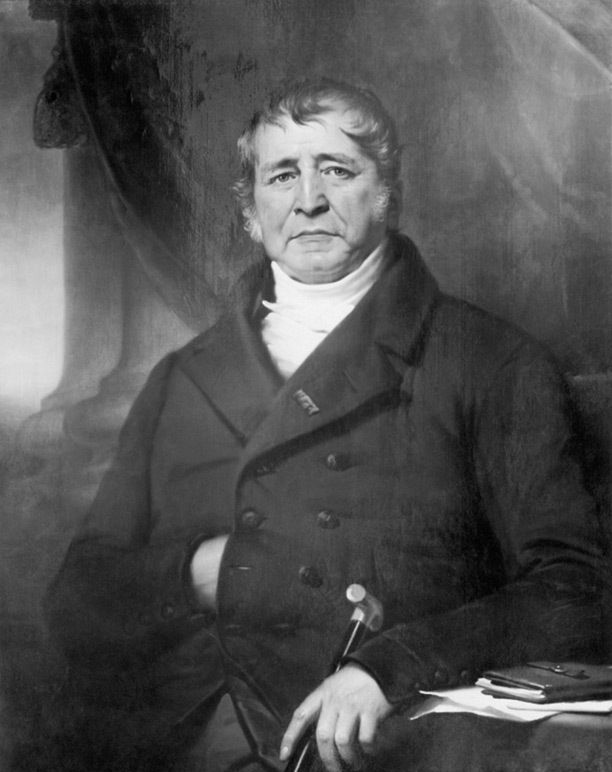 This portrait was the victim of sun fading and water damage. 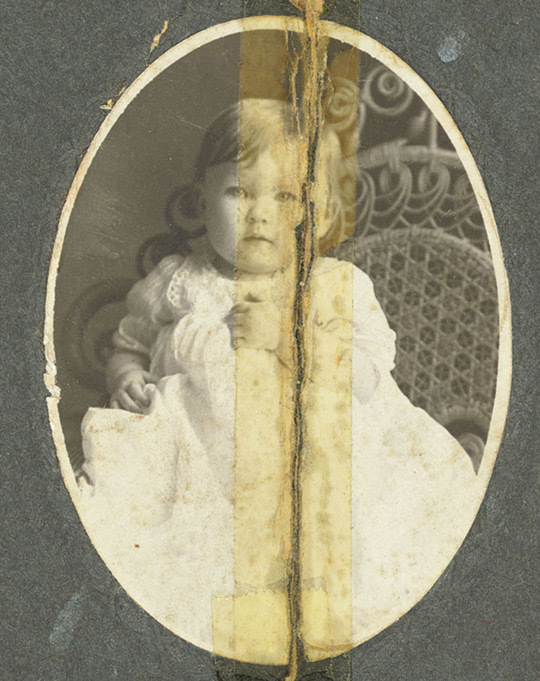 After scanning the original print, Image Management was able to remove scratches, eliminate damage, and restore the original color through retouching. 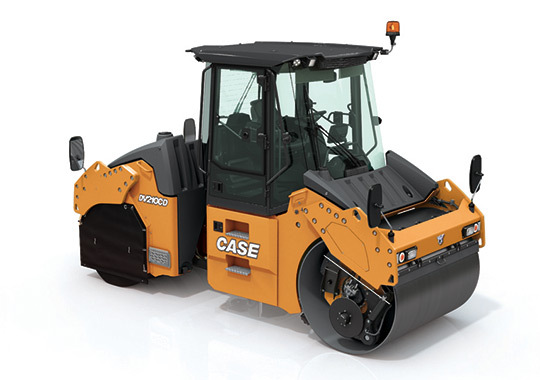 When Case Construction changes their decals and model numbers, their photography also needs to change. 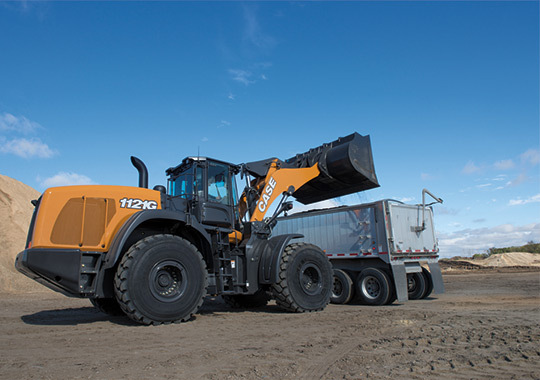 Instead of commissioning a costly photoshoot, Image Management came to Case's aid by changing decals, model numbers, and instituting color correction as needed through retouching. 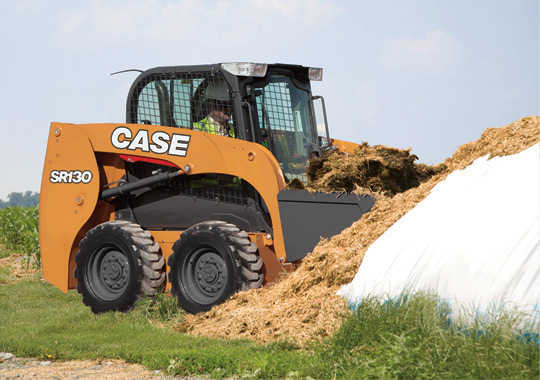 This particular Skid Steer was also retouched into an agricultural environment. 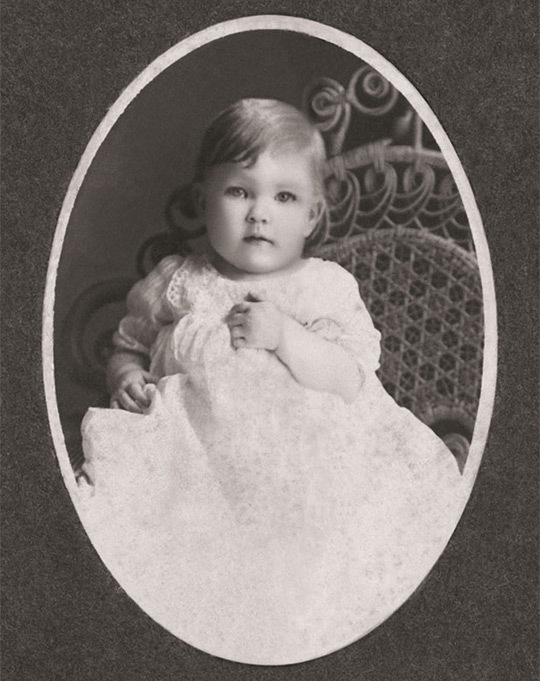 Image Management was asked to restore this photograph from the personal collection of Sam Johnson (of S.C. Johnson Wax). 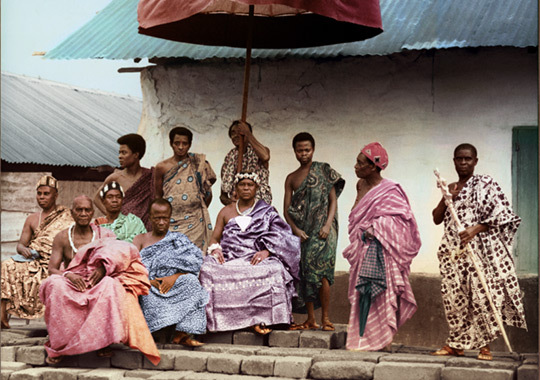 The original colors and vibrancy of the Ghana Royal Court were restored digitally through careful retouching. 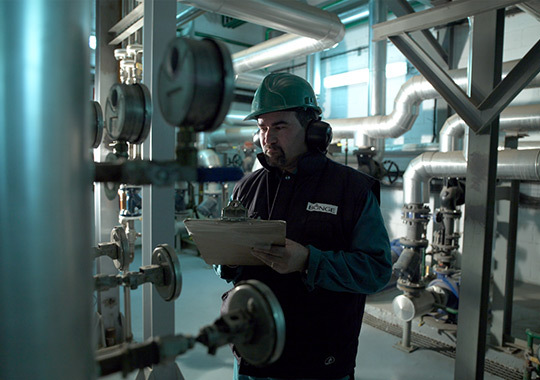 Bunge Limited was in need of an inspection worker image, but the photographer's proof was much too dark and did not meet safety standards. 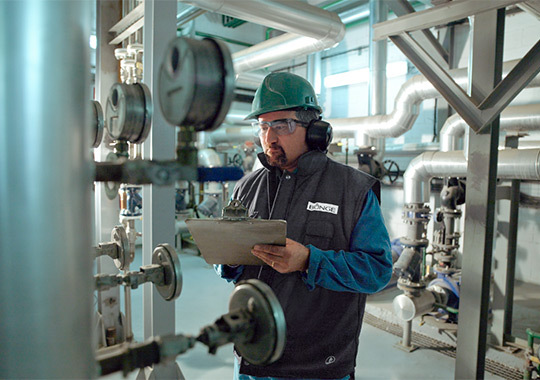 In order to utilize this photo, Image Management added glasses to meet OSHA standards and brightening was applied. 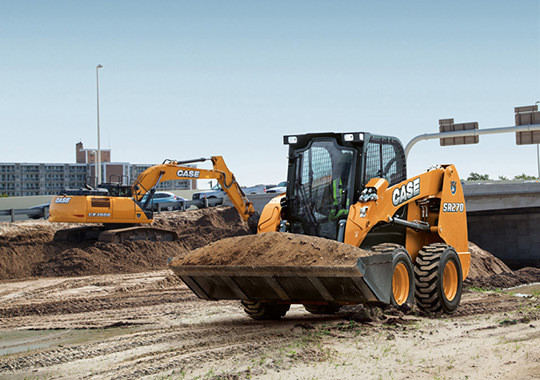 For a national ad campaign, Case Construction needed multiple pieces of equipment showcased in the same work environment. 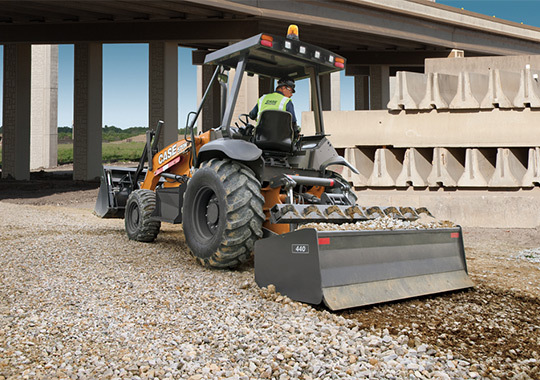 Image Management retouched a highway construction scene adding a Skid Steer Loader to accompany an existing Excavator in order to accomplish this requirement. 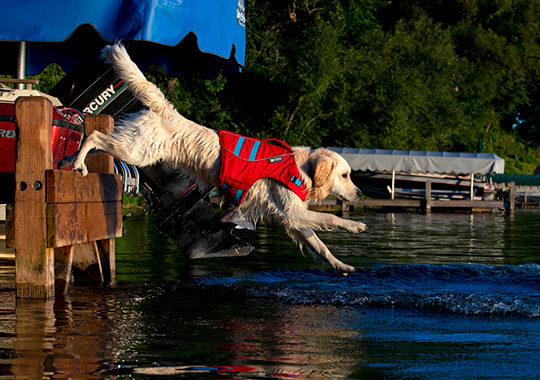 Even man's best friend can benefit from retouching! 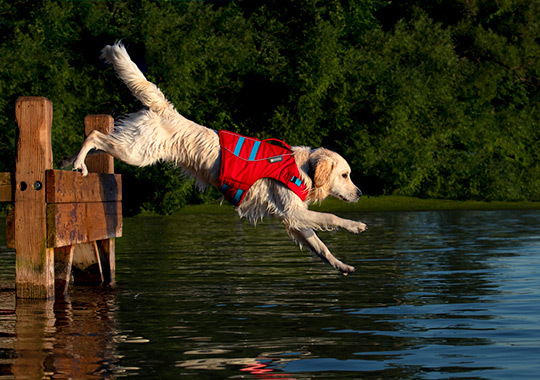 This photo was digitally cleaned removing the wake from the water along with distracting background elements ensuring the photo's subject is front and center. 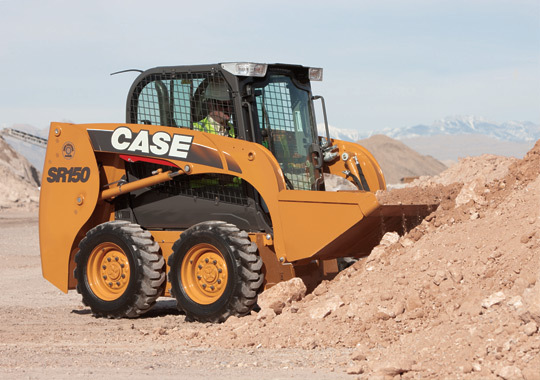 Case Construction requested that this Loader Tool Carrier be retouched with new livery and decals. 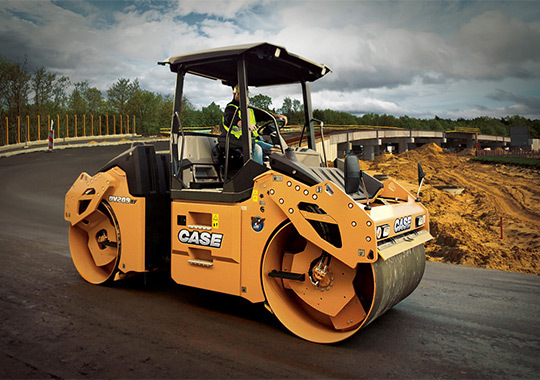 The machine was also placed in a new background using roads and bridges to create a more compelling work environment. 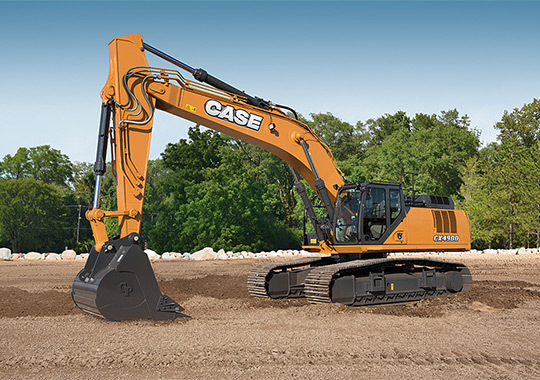 Case Construction looks to Image Management to make their equipment photography look its best for use in brochures. 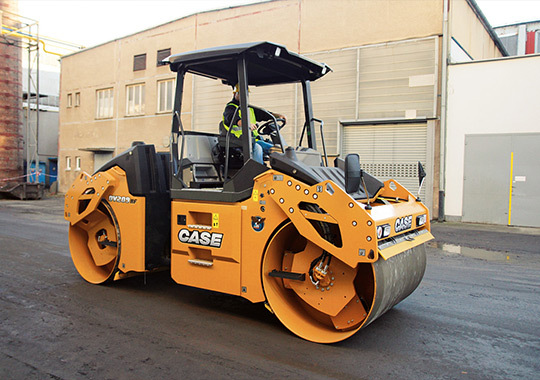 This Compactor Roller was taken from a bland, backlot environment and digitally placed in a busy construction scene for their compaction brochure. 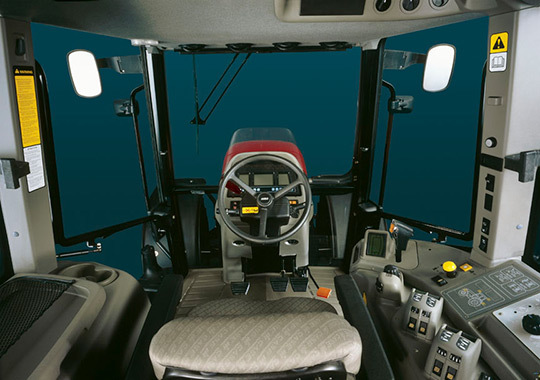 This new Case IH tractor cab was photographed in a studio. 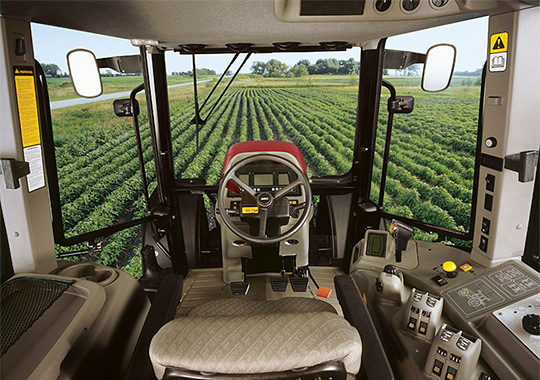 Image Management was tasked with making the tractor appear to be in a work setting in an agricultural field to show the tractor's great visibility, as well as color correction of the interior of the cab to the new "wheat" color. 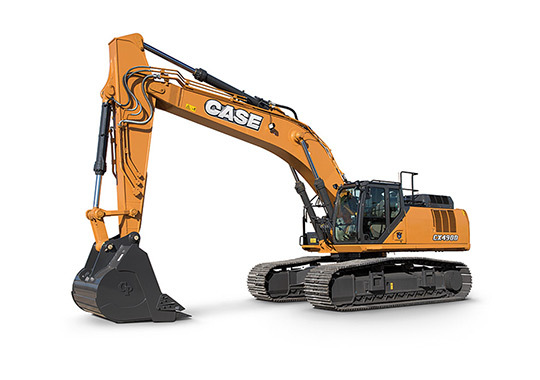 Image Management assisted Case Construction in developing mock-ups of their construction equipment for use in U.S. military bids and proposals. 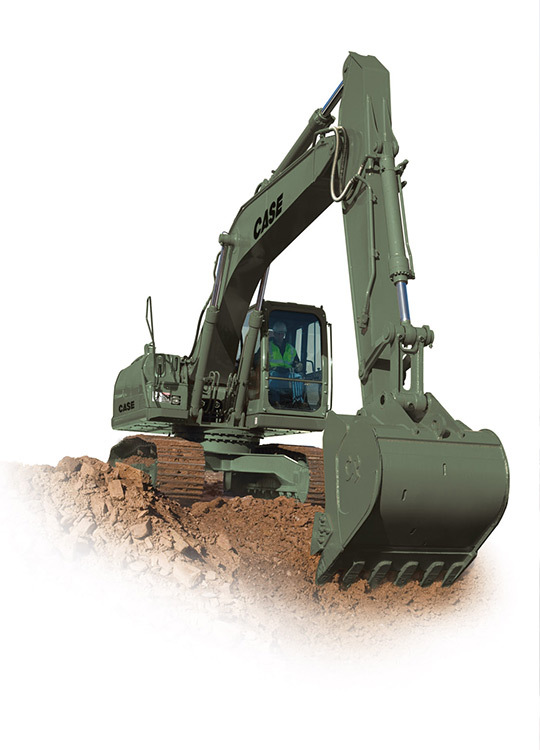 This is an example of an Excavator retouched with an army green color scheme. 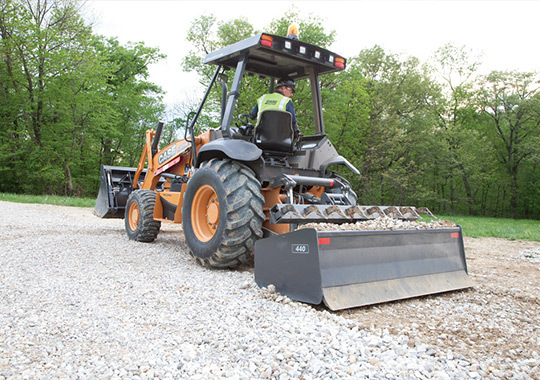 CNH Parts and Service provided a photo that was given to them from a supplier. Image Management was asked to clean up the photo, and add blue and white paint. 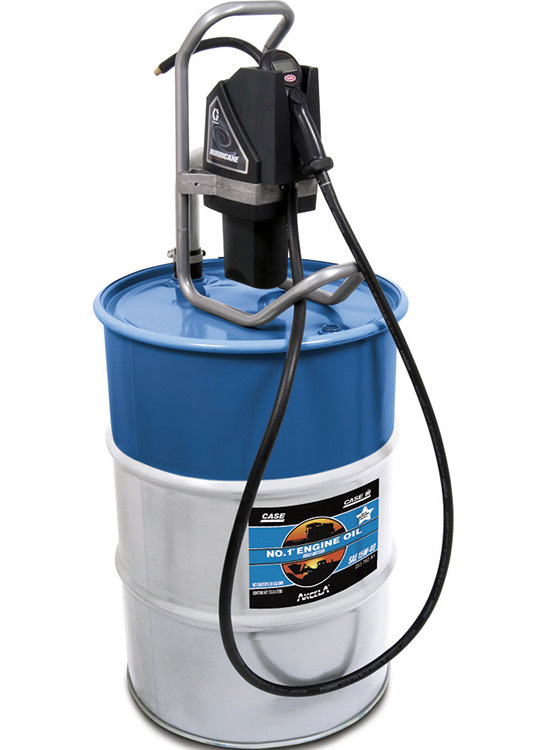 Image Management's graphic design team also designed a decal which was placed on the drum.